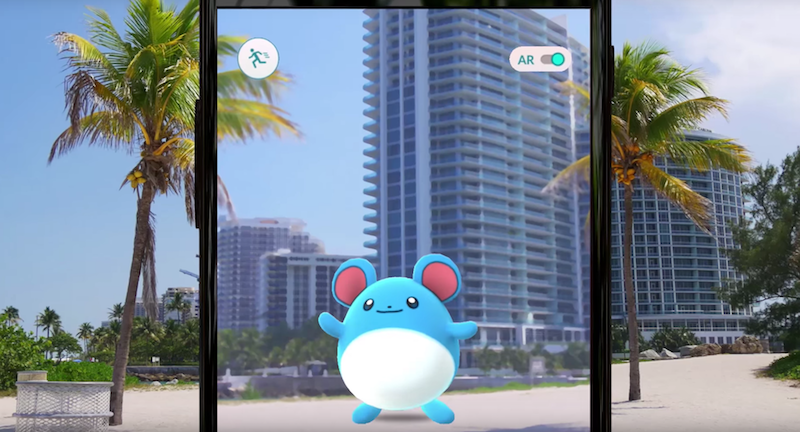 Generation two is here, and it brings with it a slew of new faces to Pokémon Go. Earlier today, an update dropped for Pokémon Go that brought with it a slew of new customization options. More recently, the new roster of Pokémon from Gold and Silver went live, and are now fully capturable out in the wild. From the looks of it, Sentret might be the new Rattata, at least where I live. For reference, the new starters include Chikorita, Cyndaquil, and Totodile. Additionally, Zubat can now evolve into Crobat, Slowpoke can evolve into Slowking, Onix can evolve into Steelix, Chansey can evolve into Blissey, Seadra can evolve into Kingdra, Scyther can evolve into Scizor, Eevee can evolve into Espeon and Umbreon, and Porygon can evolve into Porygon 2. Some of these evolutions will require special items, such as a Metal Coat. Over 80 additional Pokémon originally discovered in the Johto region can be caught. Gender-specific variations of select Pokémon can be caught. Added Poké Ball and Berry selection carousels to the encounter screen. Added new avatar outfit and accessory options. Added new night-mode map and encounter music. Added bonus Candies for catching Evolved Pokémon. Implemented Apple Watch connection stability improvement. We will have more coverage on what the new update is like in action in the coming days.